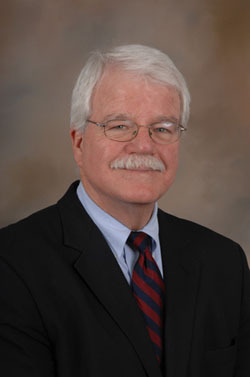 Recently, Congressman George Miller (D-CA), ranking Democrat on the House Education and the Workforce Committee launched a bill to create an Advanced Research Projects Agency (ARPA) for education. A similar bill was introduced in the Senate by Senator Bennet (D-CO). The idea is based on DARPA, which has for many years supported innovation and experimentation in defense. DARPA is responsible for funding such technological marvels as the Internet, global positioning satellites (GPS), and pilotless drones. In education, ARPA-ED would emulate the structure of DARPA in trying to provide rapid, flexible support for experimentation and innovation, especially applications of cutting-edge technology to enduring educational problems. Like DARPA, ARPA-ED could seek to entice non-traditional bidders to apply. These might include technology companies, entertainment companies, or others willing and able to create and take to scale exciting and innovative applications. Think of Microsoft, Apple, or Disney creating algebra programs, science programs, or beginning reading programs using new or established technologies in new ways. The importance of ARPA-ED would be in encouraging innovative developers of all kinds to create new solutions that take advantage of rapidly evolving technologies. ARPA-ED would be intended to solve a key problem we now have in educational innovation, which is that it takes a very long time to go from idea to development to evaluation to dissemination. For high-tech innovations, the technology may have progressed a great deal between the time the program began and when it was completed. ARPA-ED would be designed to work quickly and flexibly. If an innovator has substantial development already completed but needs further refinement and evaluation, ARPA-ED could fund what remains to be done. If a company or non-profit can fund part of the development costs, ARPA-ED could work out a cooperative funding arrangement. If a developer has a terrific idea in need of an initial proof of concept, ARPA-ED could provide seed funding. The idea would be to support anything that could potentially make a big difference on important, persistent problems for large numbers of children in the fairly near future. ARPA-ED projects would be risky. Many would fail to come to fruition, or would be found in later evaluations to be ineffective. However, this is the nature of innovation, and if we want to find giant leaps forward, we also have to be ready for a few pratfalls, too. I am a big fan of ARPA-ED and have written about it before. However, there are a few elements ARPA-ED would need to maximize its impact on educational practice. First, while few restrictions should be placed on the nature of the innovations, all projects need to eventually be subjected to a large-scale randomized evaluation in comparison to current practices, using widely accepted measures not made up by the experimenters. It is not enough to create something cool or ultra-techy. It has to work. Second, innovations need not be cost-effective immediately, but there must be good reason to believe that they will be cost-effective within, say, five years. Third, funding for ARPA-ED must not come from other programs targeting evidence-based reform in education. In particular, funding for ARPA-ED must not come at the expense of Investing in Innovation (i3), which is funding the development, evaluation, and scale up of proven programs of all kinds. i3 is already showing great promise, and cutting it back would be counterproductive to the cause of evidence-based innovation. ARPA-ED should be a high-tech sister program to i3, not a competitor. In the near term, i3 is carrying the flag for evidence-based reform, and slowing it would damage the spirit of innovation on which ARPA-ED would also depend. To do ARPA-ED right will take a lot of money, though it would be a drop in the ocean among all education funding. ARPA could require $1 billion a year from new funds. The federal government would have to fund it. This will probably not happen from federal funding in the current political environment, but it is worth thinking through so that the idea will be ready to go if the opportunity arises in coming years. ARPA-ED could transform educational practice if it could take on big problems (such as algebra, science, dyslexia, or English language learning) and solve the heck out of them using innovative strategies. ARPA-ED could change the slow pace of innovation and dissemination in education, and build a national sense that education problems can be solved using innovation and research.